Forget what the Chinese calendar says this is the year of the Flamingo! We are loving our pink feathered friends this summer and you can find them on a wide variety of our products this season. 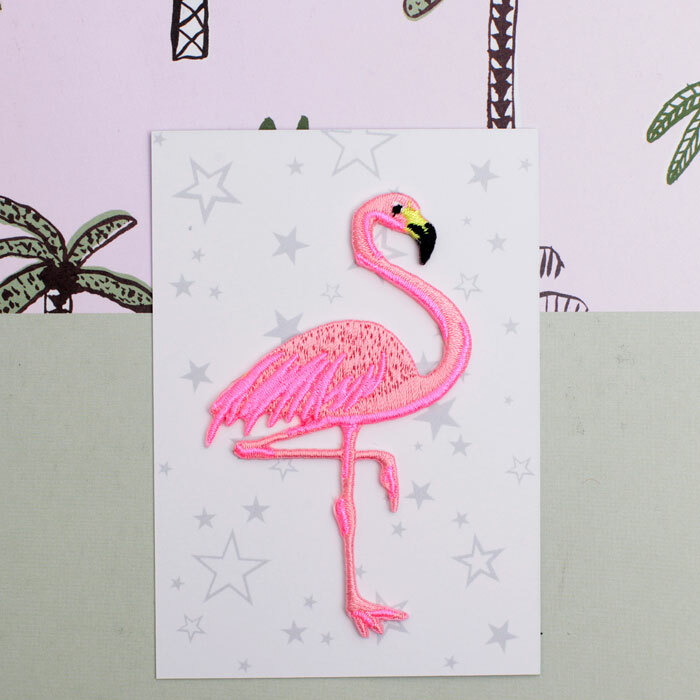 Here is our favourite Top 10 Pick of Flamingo Inspired Gifts. 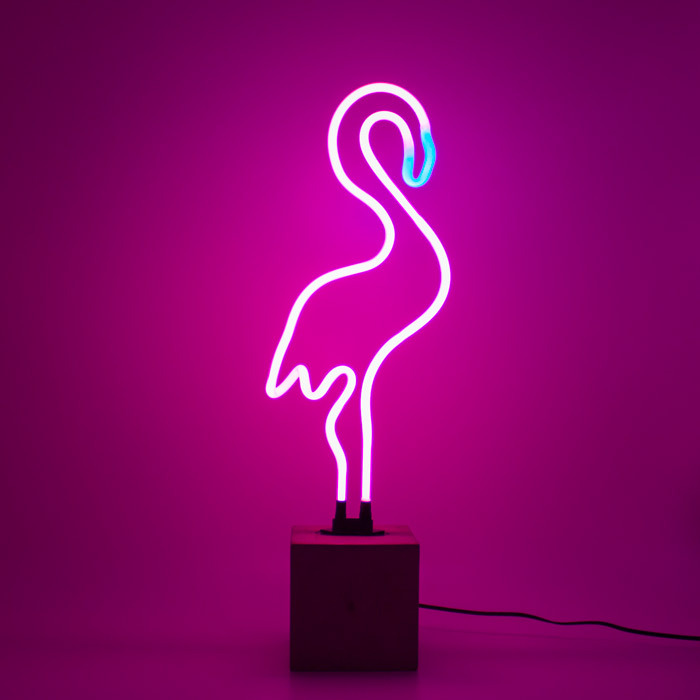 Neon Flamingo Light by Locomocean at £52.50 – With its soft pink glow and cool design this quirky light will enhance any interior and add a ‘Club Tropicana’ feel to your summer parties. 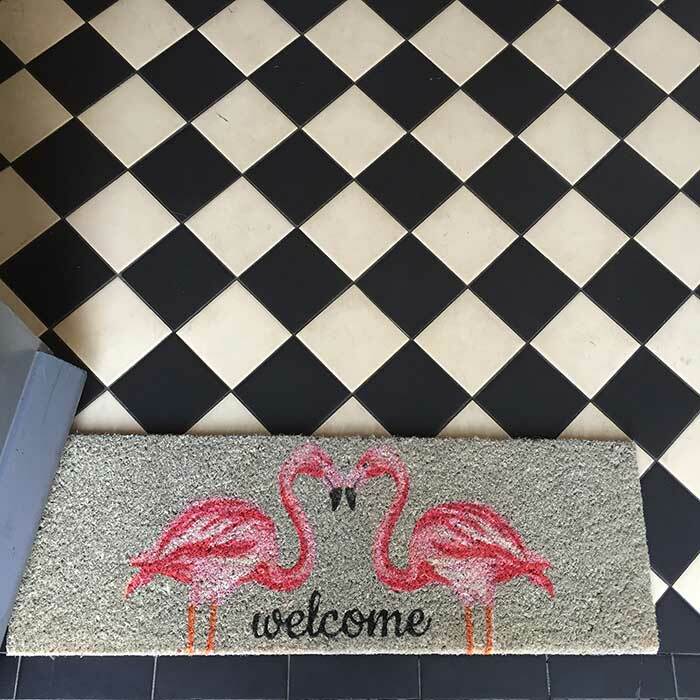 The Flamingo Doormat at £15 – This mat is the perfect tropical welcome to any home this summer. The stylish grey mat features two Pink flamingos and the word welcome. 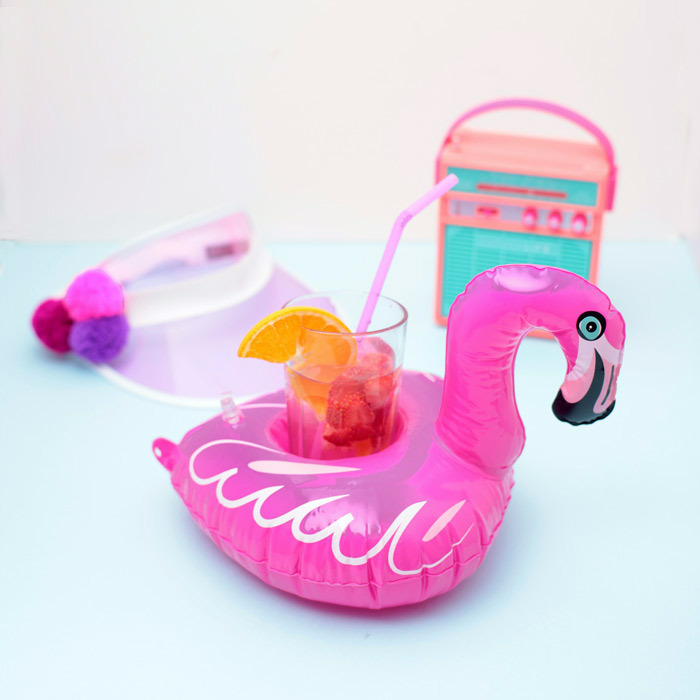 Inflatable Drinks Holder Flamingo at £6.50 – Whether you are swimming in luxurious pool or simply taking a soak in the tub this inflatable flamingo drinks holder is the perfect way to make sure you always have a drink at hand. Flamingo Passport Holder and Luggage Tag Set by Aroma Home £14.50 – Jetting off to tropical climate this year? 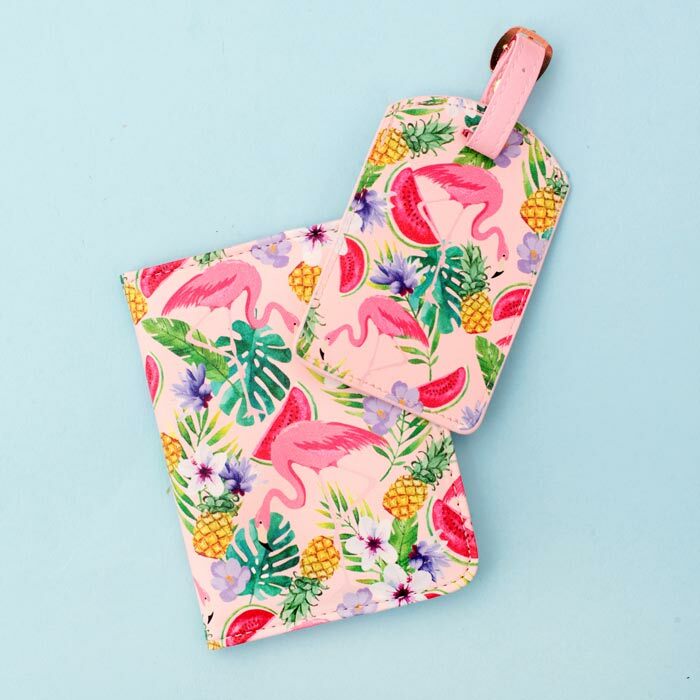 Well why not travel in style with the Flamingo Passport Holder and Luggage Tag – a great way to get you in the holiday mood when you are packing. 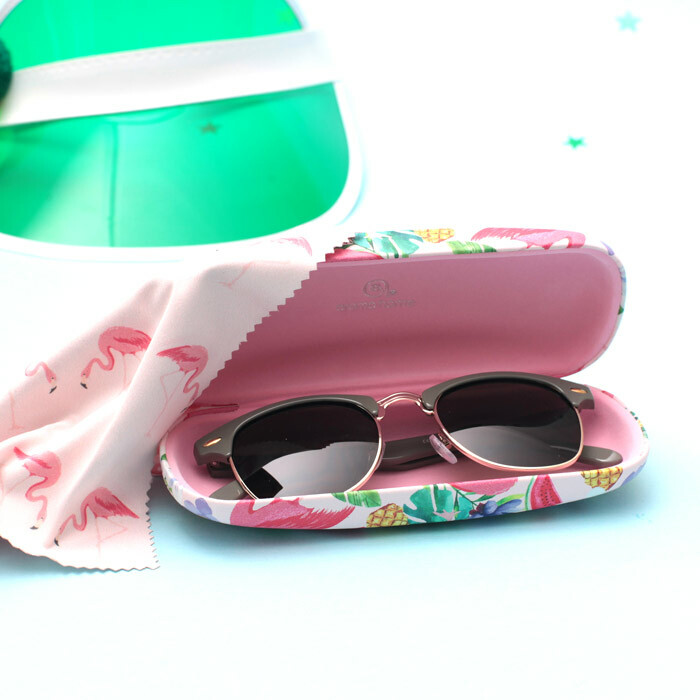 Flamingo Sunglasses Case at £14.50 – This Funky Glasses Case is the perfect size for all sunglasses and the hard case will ensure your ‘sunnies’ are protected when they are not in use. Complete with a microfibre flamingo adorned cloth, an ideal way to keep your glasses not only safe but also clear from suntan lotion smears! 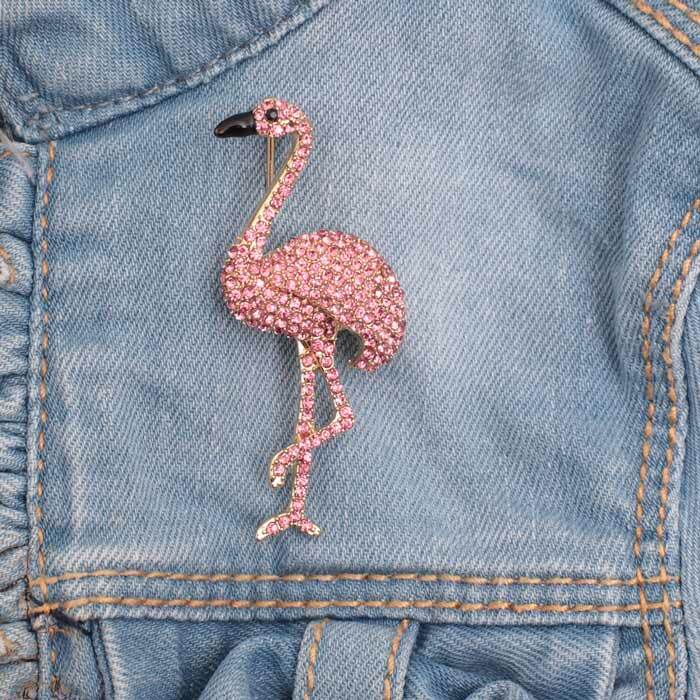 Pink Flamingo Iron on Patch at £2.95 – This embroidered Iron on Flamingo Patch is an easy inexpensive way to add this season hottest character to your life. Patches are ideal for jazzing up clothes, bags, curtains or any fabric you like. 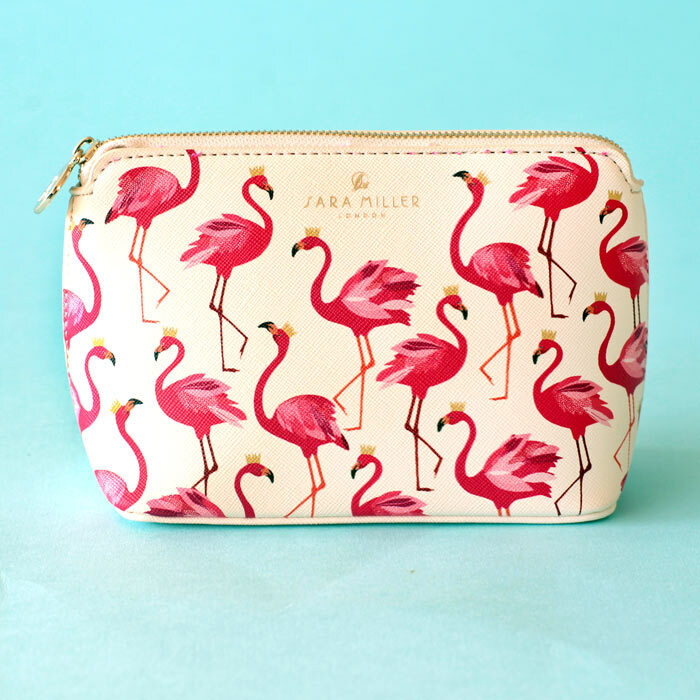 Flamingo Makeup Bag at £23.50 – The Flamingo makeup bag by Sara Miller is a must-have this summer. This delightful flamingo cosmetic bag is an ideal way to prettify your dressing table but is stylish enough to use out and about. 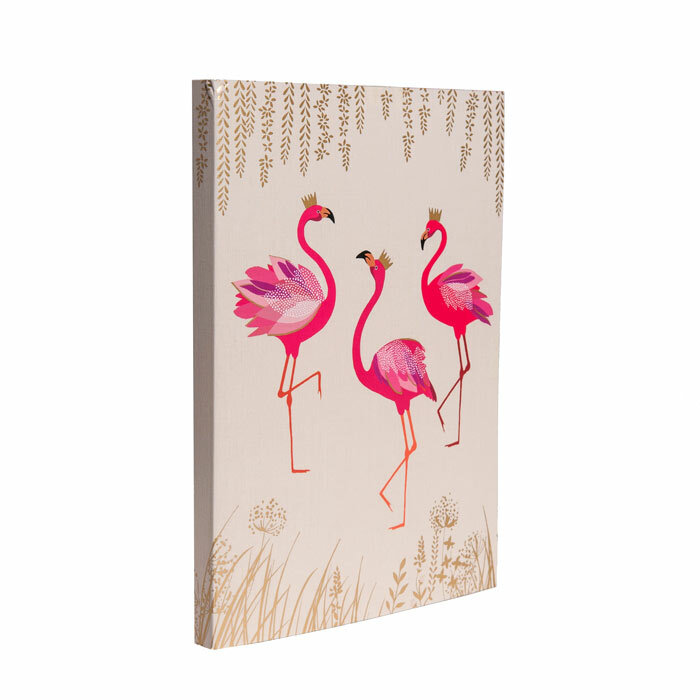 Flamingo notebook by Sara Miller at £10.50 – This sturdy A5 hardback Flamingo Notebook is illustrated with 3 proud and preening Flamingos. The Notebook contains 80 ivory and lined pages for you to fill with all your practical to-do-list or perhaps very special notes! Flamingo brooch by Oceanic at £15 – This is a ‘must have’ accessory this season. The elegant bird has a base colour of gold and is encrusted with pink diamante and sports a black enamel beak & eye.This is a great gift for someone looking for an unusual present. 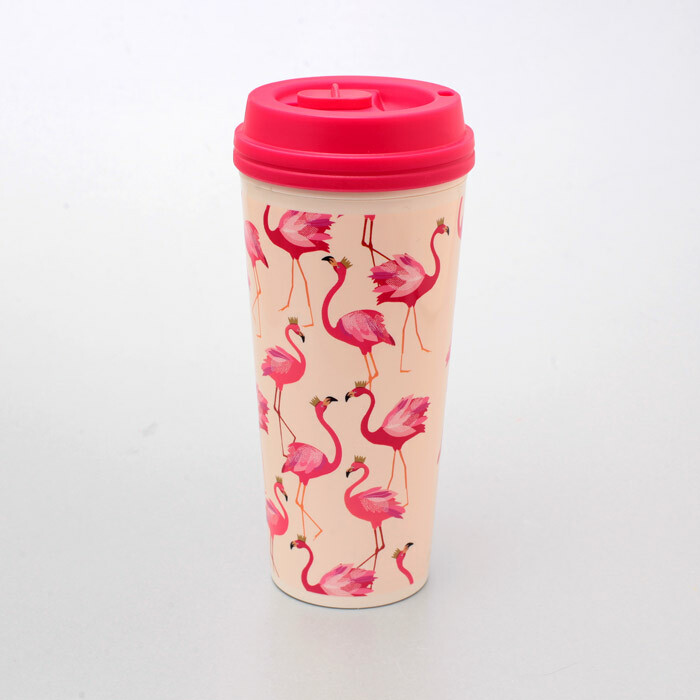 Flamingo Eco Cup at £16.50 – Wake up to a tropical feel every morning with the stylish Flamingo Travel Mug from Sara Miller. This portable mug featuring pink flamingos has a shocking pink lid with a slide closure that allows steam to escape and your coffee to cool. A stylish,yet practical gift. ‹ Catherine Colebrook Quirky Wash Bags Rock!